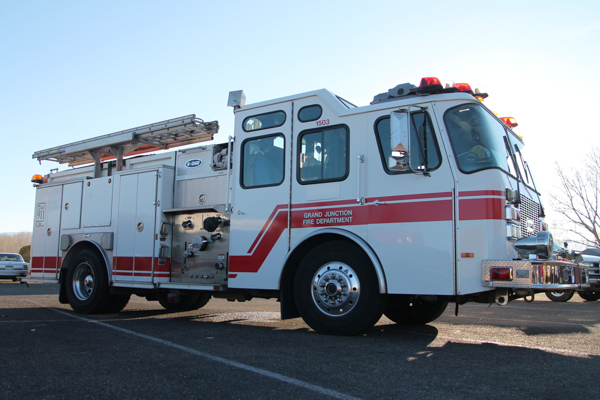 Fire Station 3 is located at 582 25 1/2 Rd, covering the Redlands area. 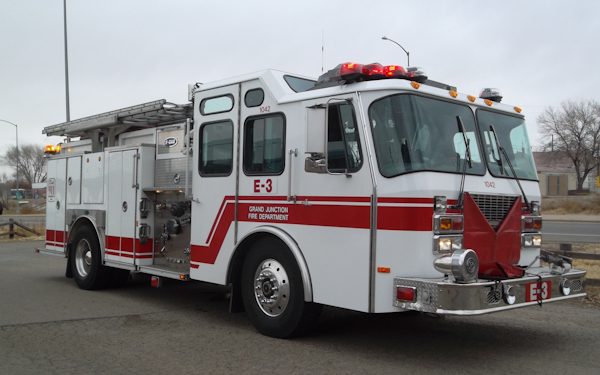 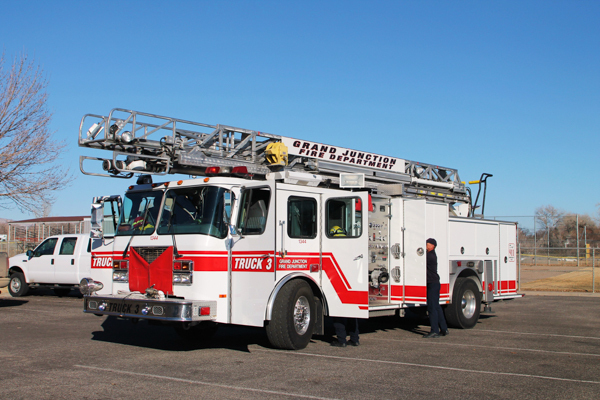 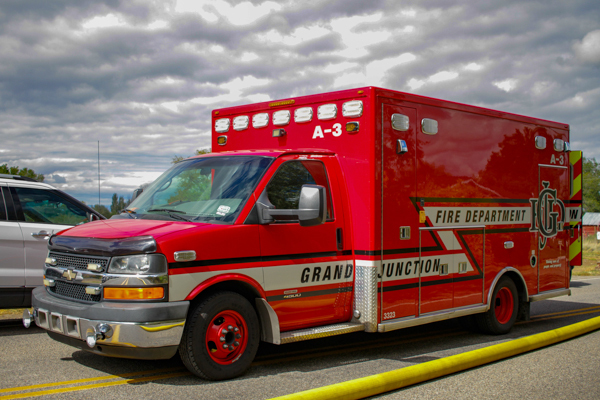 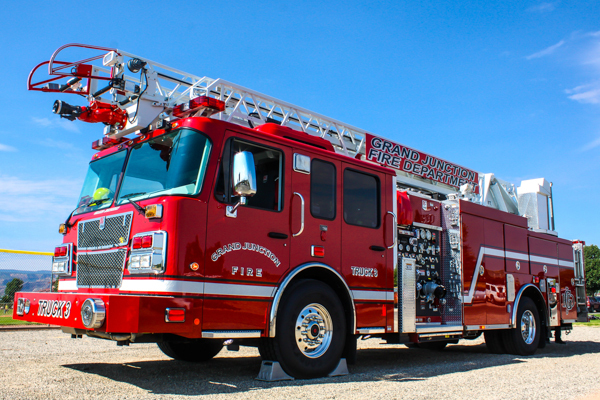 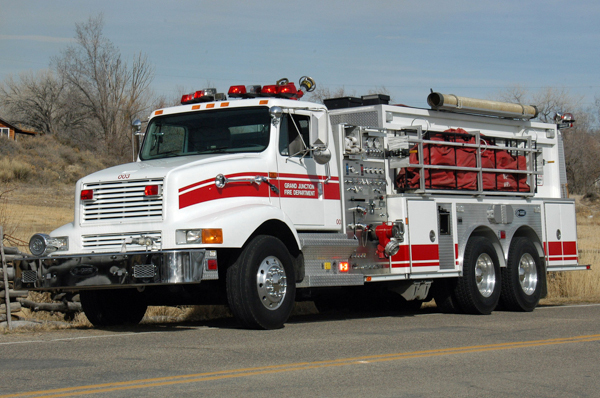 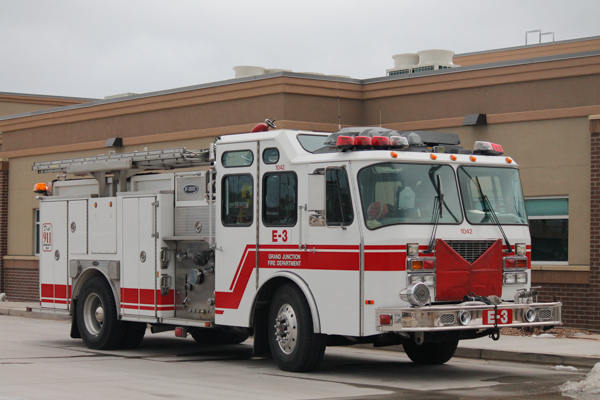 2014 Smeal Sirius (4295) 75′ heavy duty rear-mount aerial ladder 400 gallon water tank / 1500 gpm pump (Waterous CSUC20C) with 20 gallons of foam (ProFoam 2001) and Akron StreamMaster (3578). 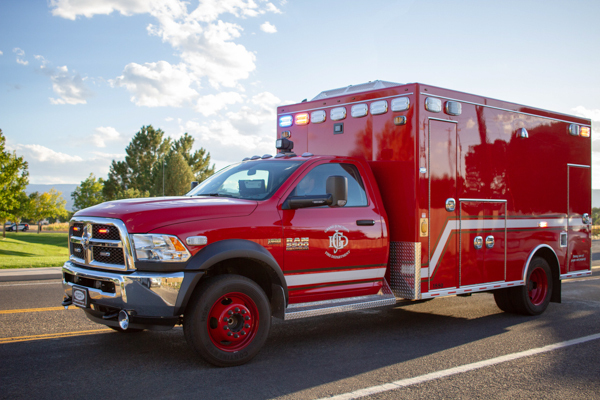 (1880) 2018 Dodge Ram 5500 4×4 / North Star. 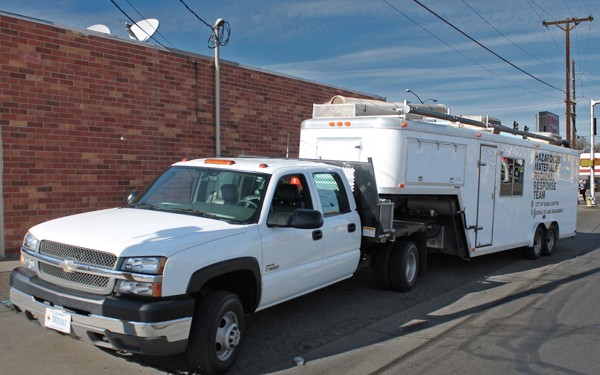 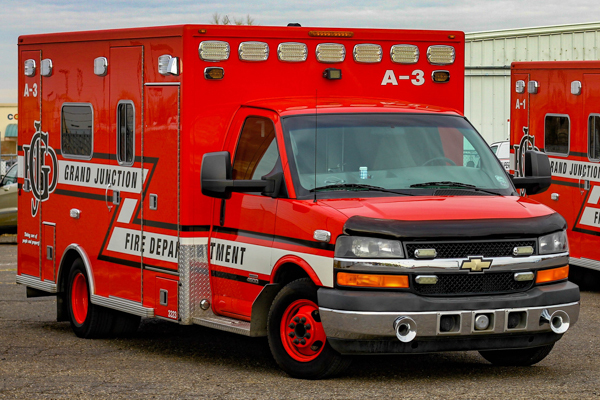 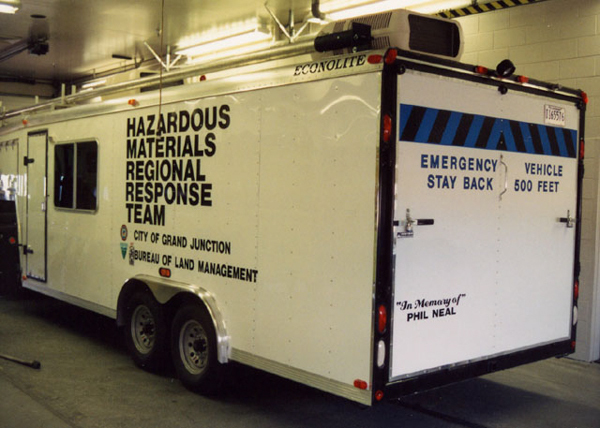 2004 Chevy 3500 with 1993 Haz-Mat Trailer. 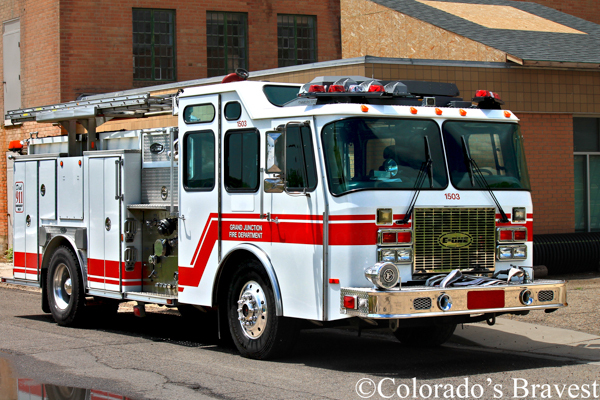 (Reserve) Engine 7 (1503) E-One, former Engine 3. 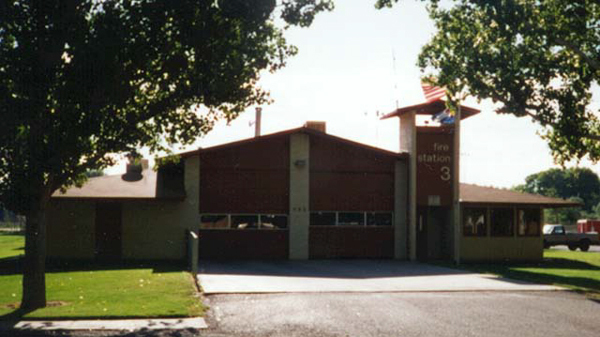 Fire Station 3 shown here at the current location. 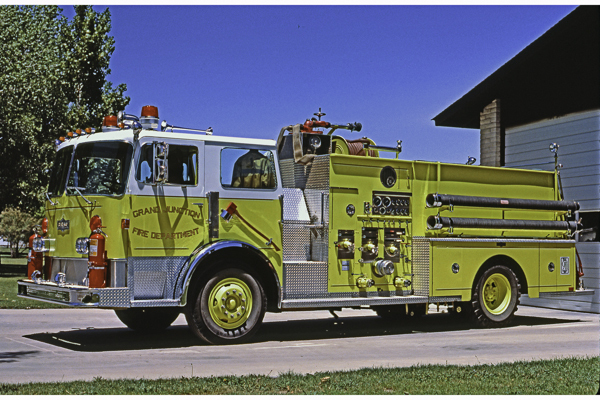 1981 Pirsch (CPC8 / 3279) 750 gallon water tank / 1250 gpm pump..
Engine 3 (1503) E-One, also ran as Reserve Engine 8 and Reserve Engine 7. 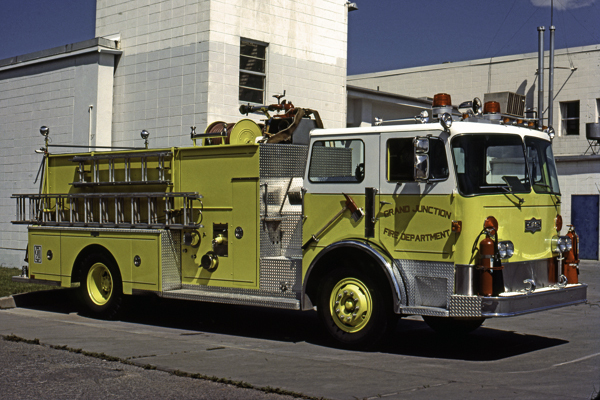 Tender 3 (003) International 4900 / E-One.